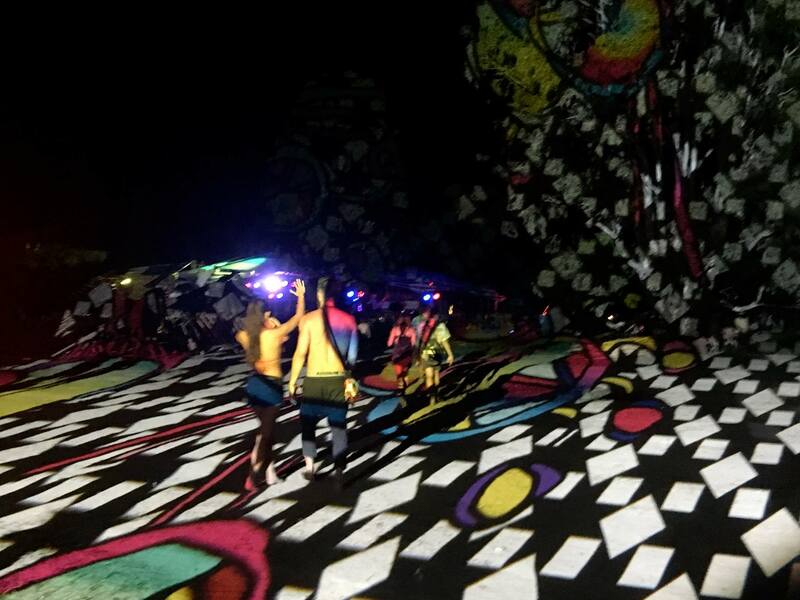 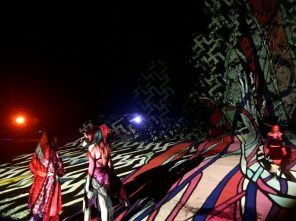 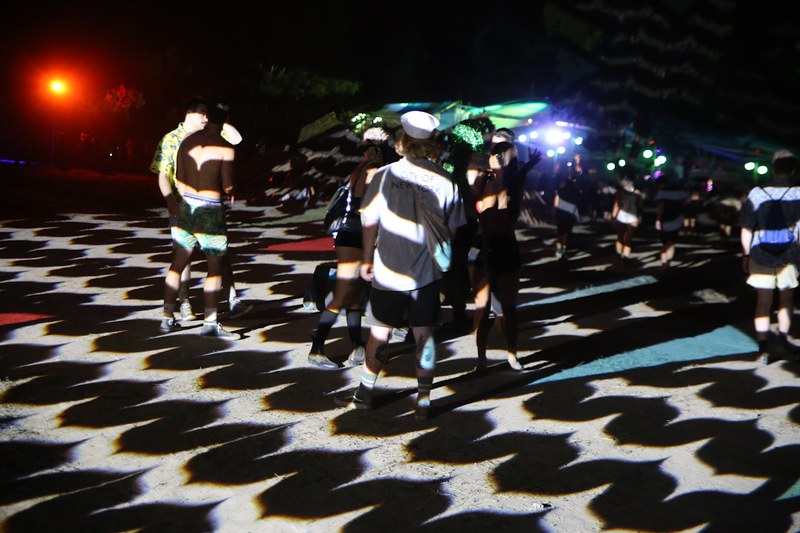 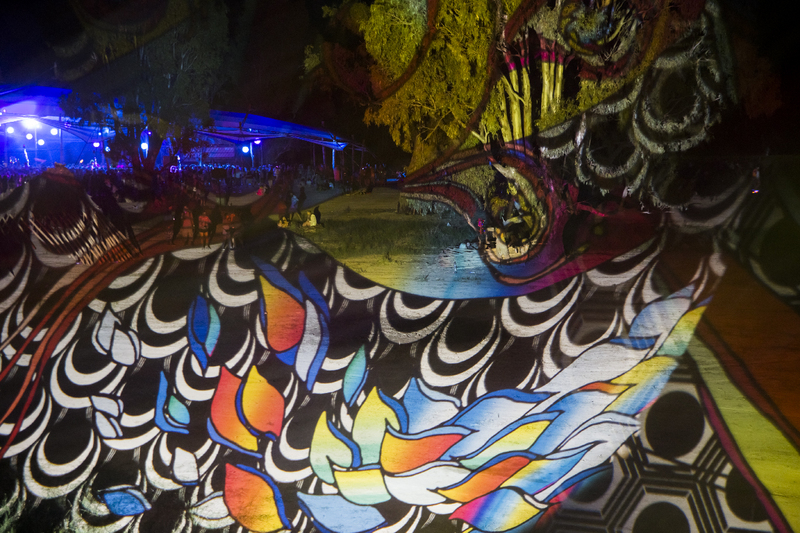 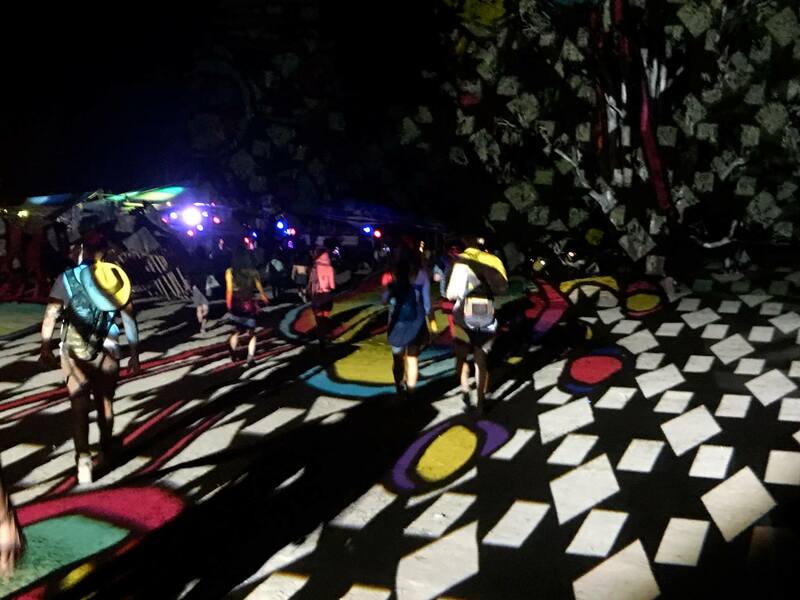 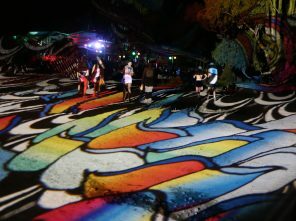 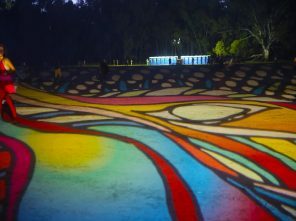 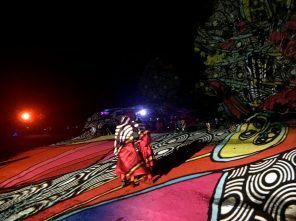 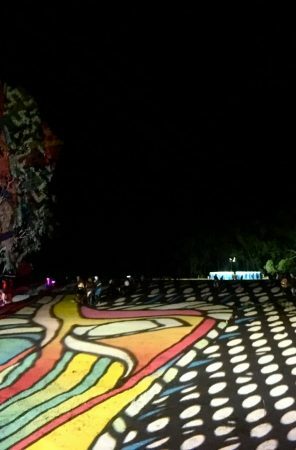 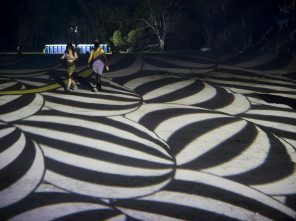 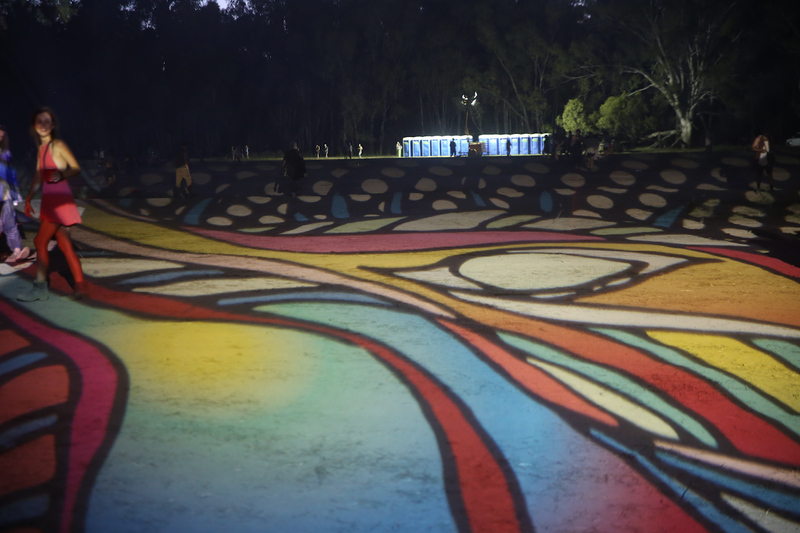 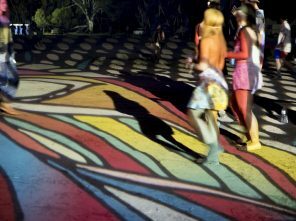 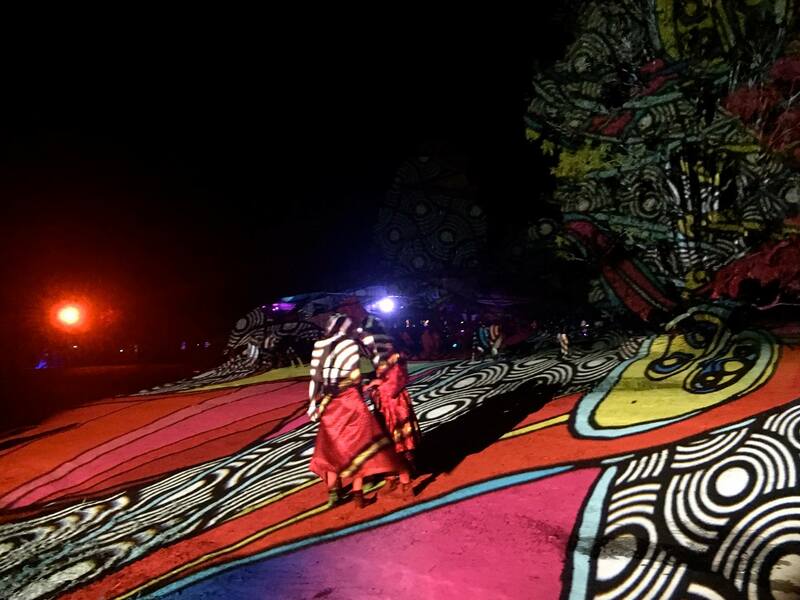 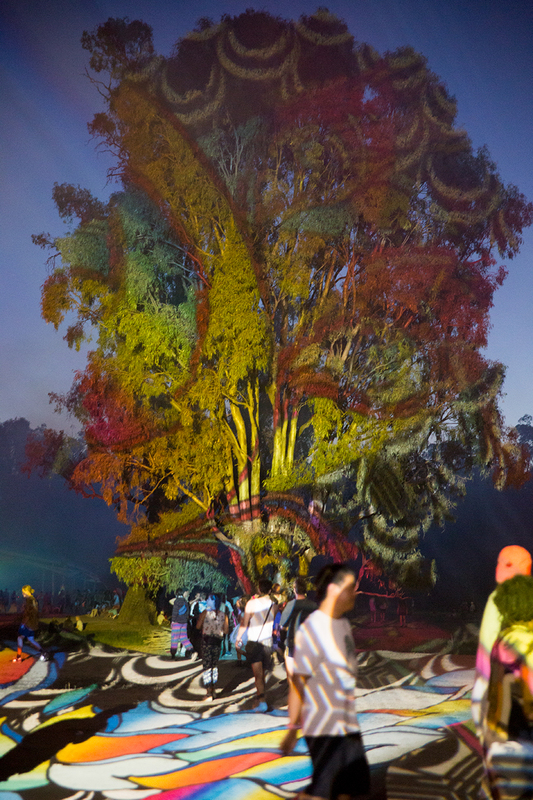 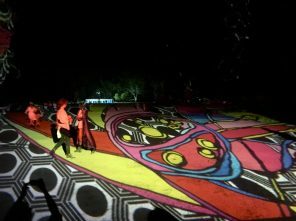 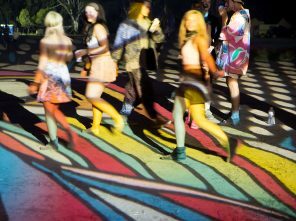 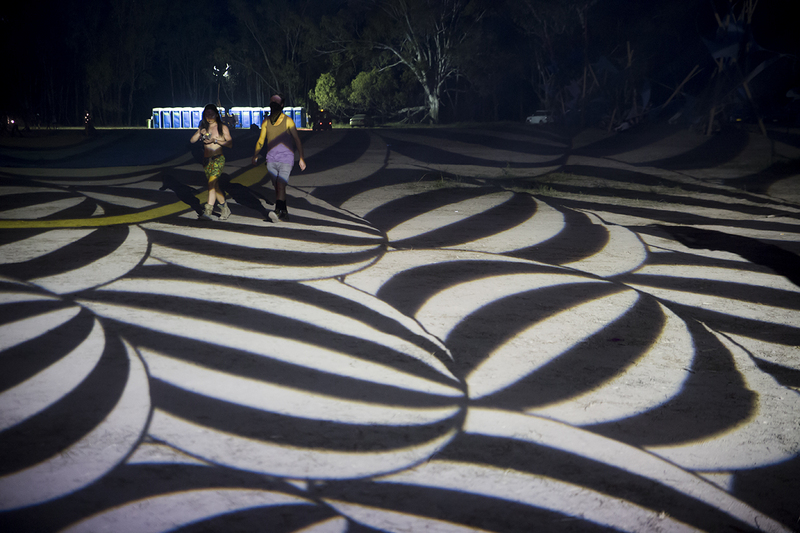 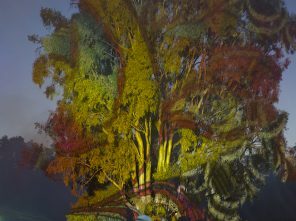 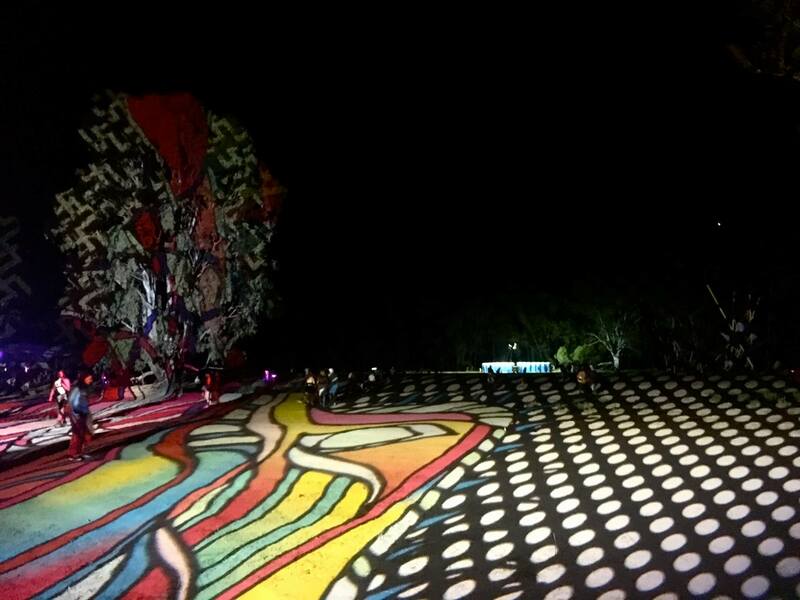 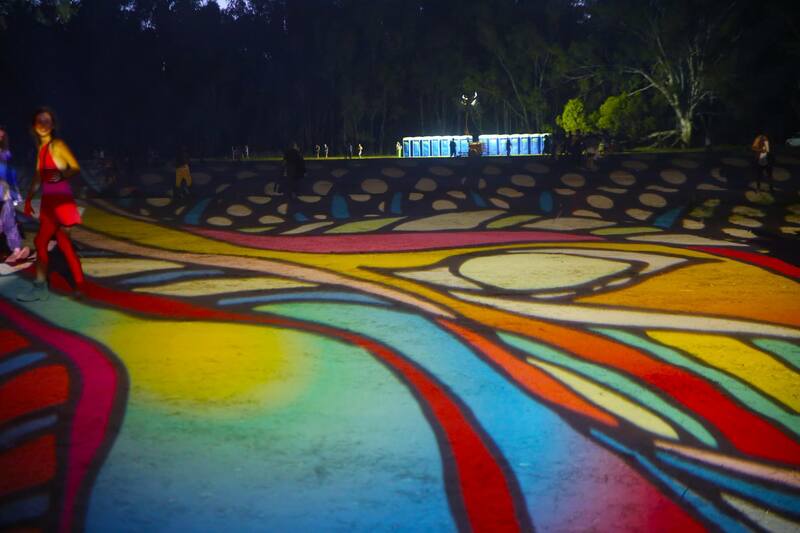 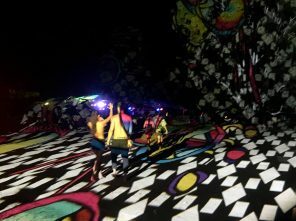 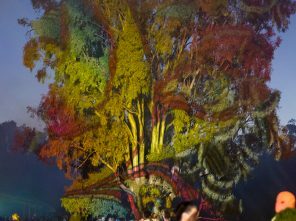 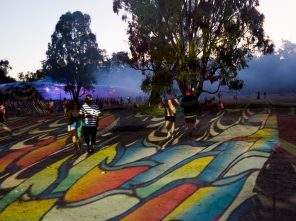 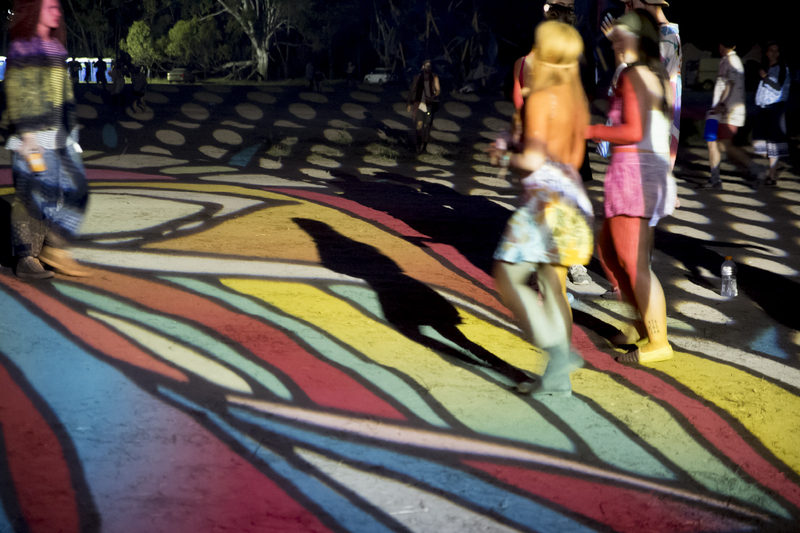 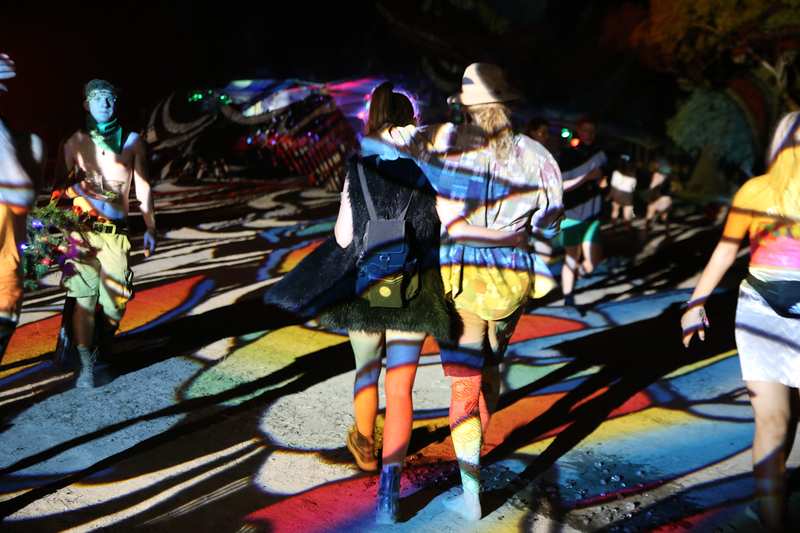 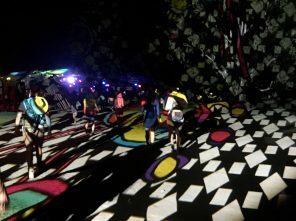 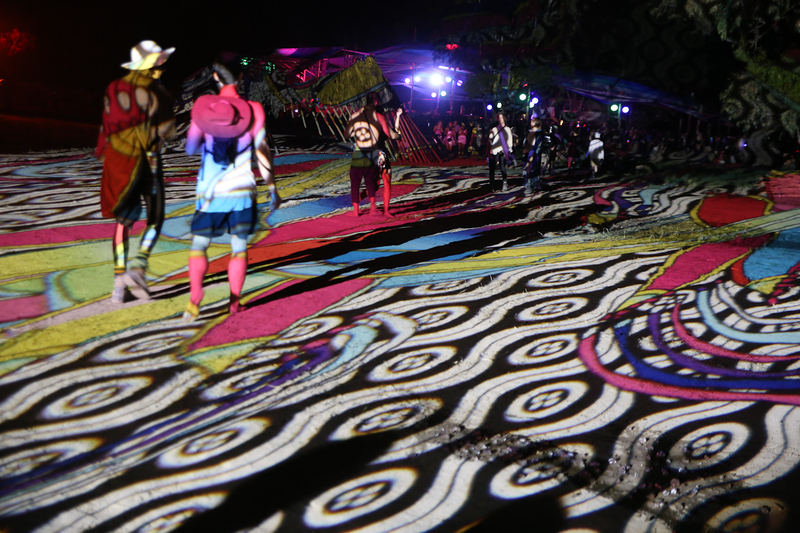 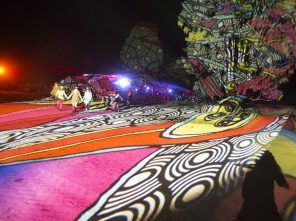 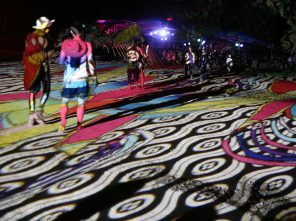 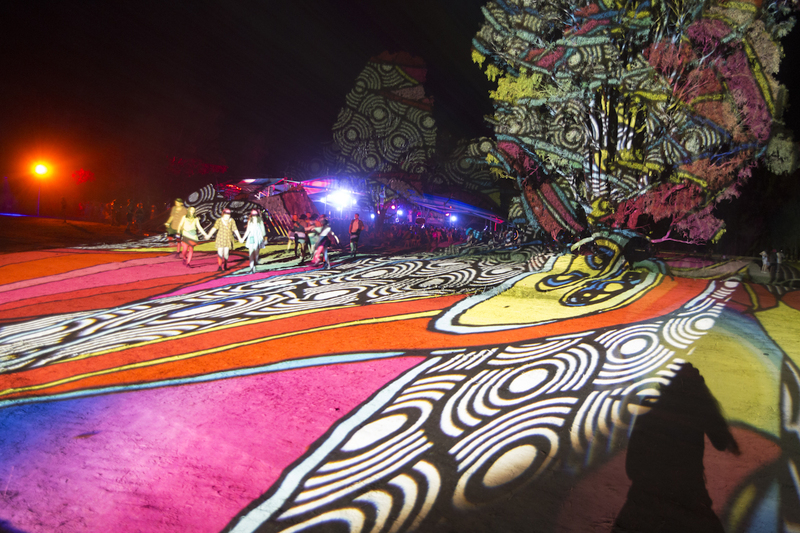 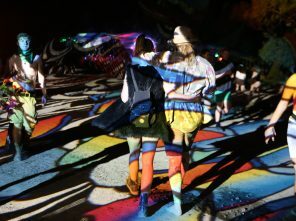 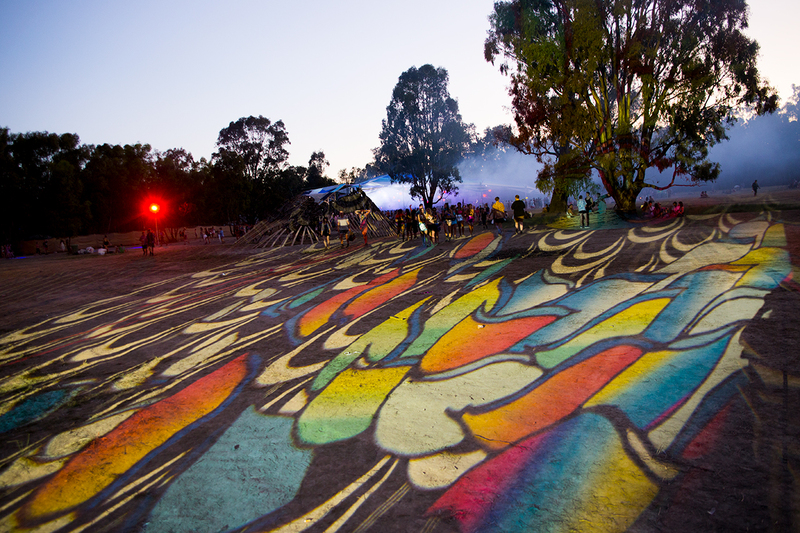 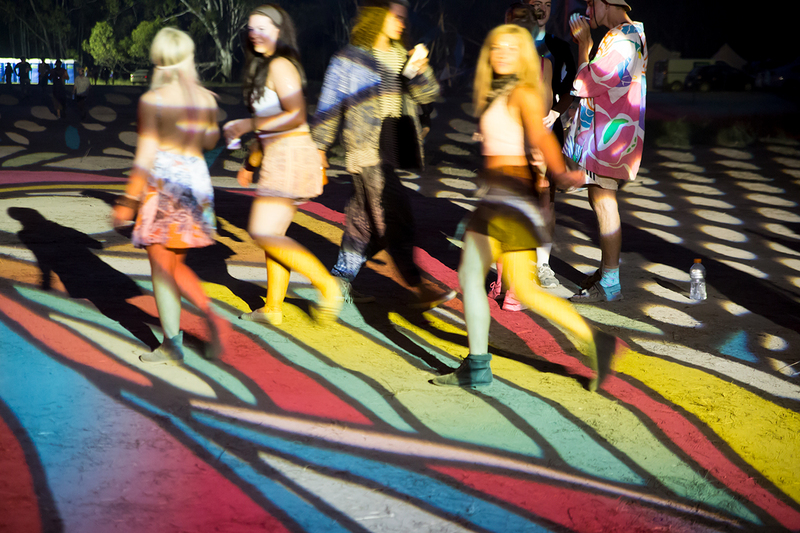 These large format ground projections displayed at the Strawberry Fields Festival held in Tocmwal, NSW. 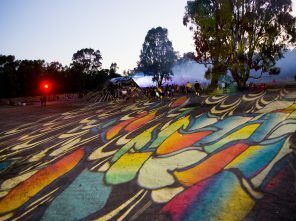 The location had a lush atmosphere being right on the banks of the Murry River, situated in the bush on the border between NSW and Victoria. 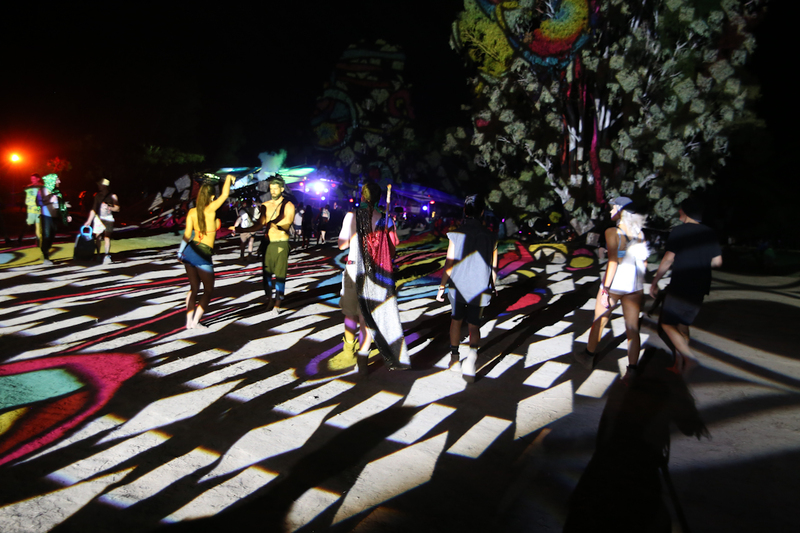 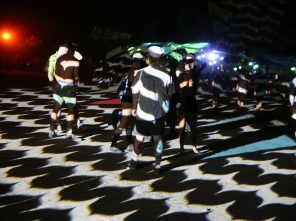 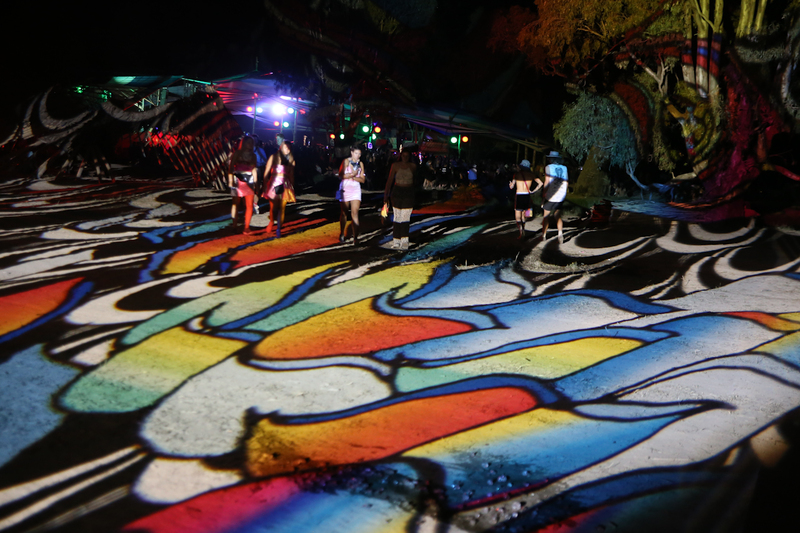 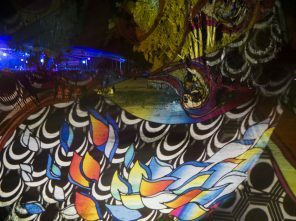 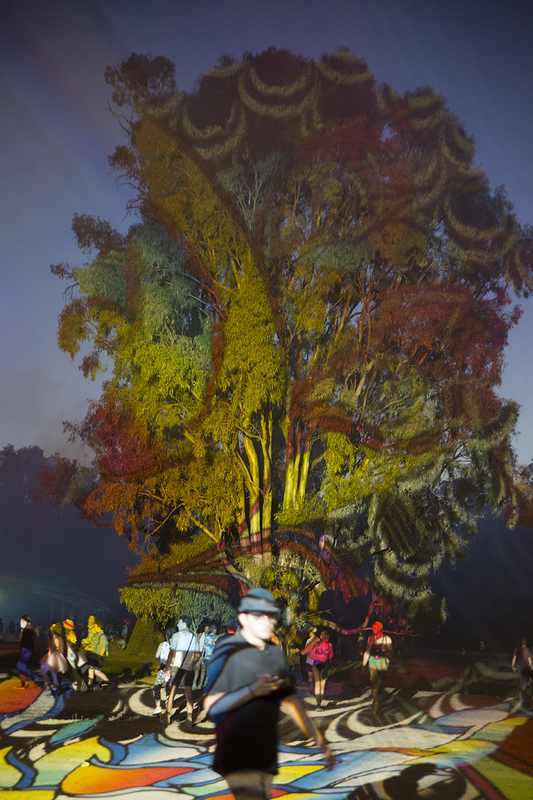 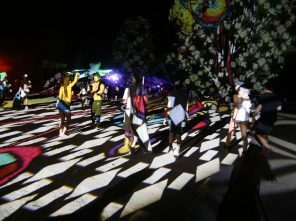 Artists Nick Azidis and Rose Staff created these scenic visual projections to light up the ground and the trees at the event.